In the Indianapolis, Avon, and Plainfield areas, the debate has been raging on for years: Who’s got the better pickup truck? Is it the Toyota Tundra or the Ford F-150? They’re both known for being reliable pickups with great power and capabilities. Here at Andy Mohr Toyota, we want you to drive home in a pickup truck that you love. We’ve done all the research, crunched all the numbers, and put everything we found right here for you. Read our comparison of the 2019 Toyota Tundra and the Ford F-150. Then decide who the winner is. 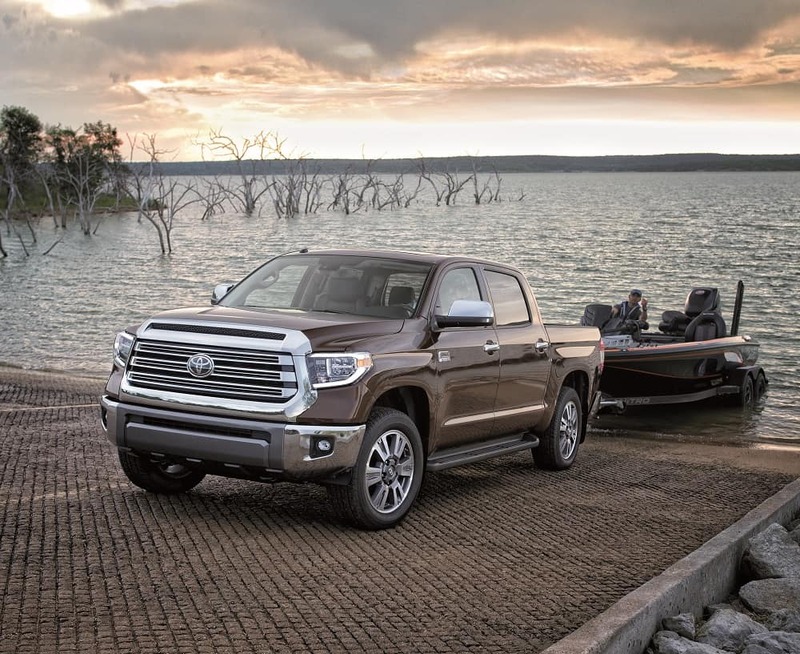 The 2019 Tundra offers two powerful i-FORCE engines. The standard 4.6L i-Force V8 engine is compact, but Dual Independent Variable Valve Timing allows it to crank out up to 310 horsepower and 327 lb-ft of torque. The available i-FORCE 5.7L V8 engine is designed to ramp up the production of the Tundra while beefing up its power. It delivers up to 381 horsepower and 401 lb-ft of torque. It’ll cut your biggest jobs down to size in no time. The Ford F-150 offers multiple engine options, as well. However, if you’re looking for more standard power, the F-150 may not cut it. The standard 3.3L Ti-VCT V6 engine of the Ford F-150 only produces 290 horsepower and 265 lb-ft of torque. Lastly, if you’re looking to finish the job before you have to stop for gas, the Tundra has an available 38-gallon fuel tank. Even the upgraded 26-gallon fuel tank of the Ford doesn’t come close. You need a truck you can rely on, and a big part of that is how it handles the road in front of it. The Toyota Tundra offers the Toyota Racing Development (TRD) Sport Package. Add it to the Tundra, and you’ll have a pickup that’s built to rule the road. The TRD Sport Package enhances the already aggressive look of the Tundra by adding 20-inch alloy wheels. It also features brighter, more efficient LED headlights and LED fog lights. The TRD Sport Package also adds high-performance Bilstein® shocks and Sport-tuned anti-sway bars. Together, these additions make up a highly engineered system that gives the Tundra better turning response, flatter cornering, and a more exhilarating ride. The F-150 has an available Sport package, as well. It adds 17-inch aluminum wheels, halogen fog lamps, and SPORT box decals. However, it lacks the sport-tuned system offered by the Toyota Tundra. These trucks actively work to keep you safe and help you stay alert behind the wheel. They both have comprehensive safety suites. The Ford F-150 is equipped with Ford Co-Pilot360™ technology. Some of the driver-assistive technologies that come standard are Pre-Collision Assist and Auto High-Beam headlamps. The Tundra is also equipped with a second safety system to give you added peace of mind behind the wheel. The Star Safety System™ features six advanced safety features. Vehicle Stability Control, Electronic Brake-Force Distribution, and Smart Stop Technology®, are just a few options that come standard with every 2019 Tundra. These active safety features are designed to operate under certain conditions to help prevent accidents. 2019 Toyota Tundra vs Ford F-150: Test Drive the Winner! 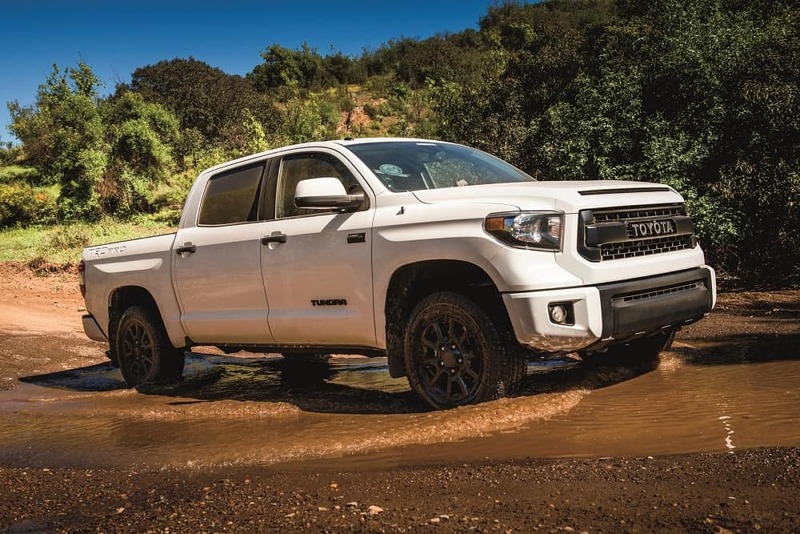 The Ford F-150 provided the 2019 Toyota Tundra with some good competition, but in the end, it doesn’t have the superior engine, handling, and safety, offered by the Tundra. If you need a reliable truck to accompany you to your next job in Indianapolis, Avon, or Plainfield, come on over to Andy Mohr Toyota. Our team would love to schedule a test drive, so you can see the superiority of the Toyota Tundra for yourself.